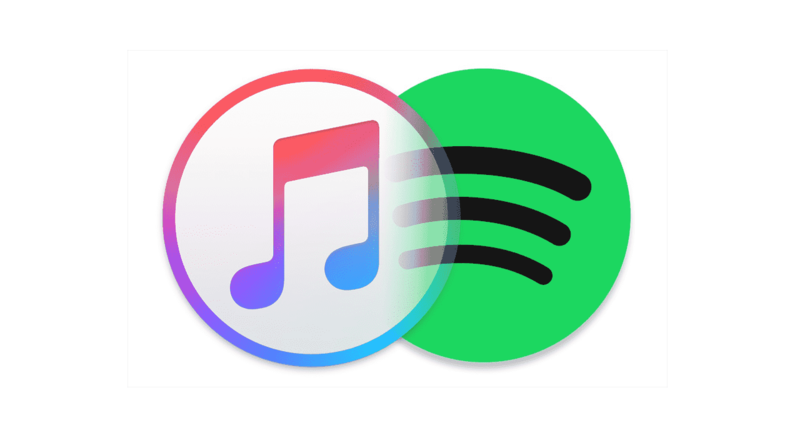 We compared Spotify and Apple Music subscriptions: here’s the winner! Streaming music is fast, convenient and it gives access to tons of cool content. But the reality is that there is much good music streaming services. Apple Music and Spotify are extremely good at this, and they are basically at the top of their game right now. Which does bring in the question, what application is better than others in this regard? Apple Music doesn’t have a free version of the app. They do have a 3-month trial in the beginning, but then you have to pay for the service each month, which can be paid with an US iTunes gift card. On the other hand, Spotify has a free version that is supported by ads. It has limitations, but at least you can listen to some content without paying. 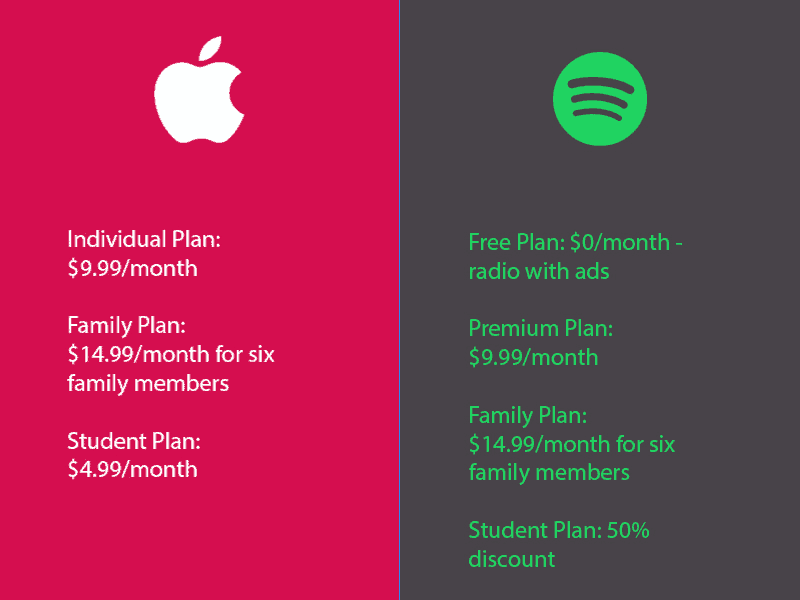 Both platforms have a student plan for $3.99, an individual plan for $9.99 and a family plan at $14.99. Pricing is exactly the same, but Spotify has the upper hand since it allows you to use the free version of the app for a year or more before you subscribe. Apple Music does a good job at letting you choose the type of music you listen to the most. Spotify doesn’t have a feature like this, but then again they learn more about your music listening habits as time goes by. You can like a song, which shows the type of content you enjoy the most. Closely related to that is the recommendation system. Apple Music has pretty good recommendations, but Spotify has a much better system here. They pick around 30 songs each Monday, and these are similar to what you listened to in the past. They also have a discovery page that helps you find similar stuff to the things you listened to recently. The additional Daily Mix complication and genre mixes make it easier for you to get the content you want, and that can be a huge thing in the end. Spotify and Apple Music have a great interface and the best part is that the interface serves as a hub for concerts, new music, playlists, videos and you can also see charts too. The interfaces for both these apps are so well done that you will have no problem enjoying the entire experience and having fun with it. 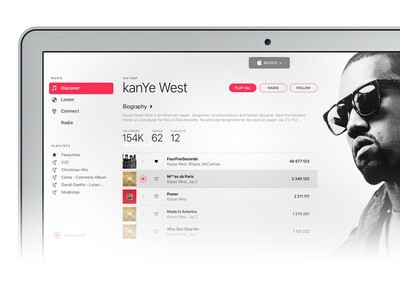 Apple Music has a much simpler interface, which may be better for some people that just don’t need a lot of clutter and unwanted stuff. This is a feature you can find only in Spotify. It appears every Monday and it allows you to find some new cool stuff based on your listening history. The best part is that you can always find great things here and you can even find a release radar that’s a playlist updated with the newly released music. That alone goes to show that finding and listening to new music is a whole lot easier. The artist page is easier to navigate and use in Apple Music. Spotify’s pages are ok, but they could be a bit better because you never know when an album starts or ends if you don’t look at it. Apple Music offers all that information and it makes the process simpler for you! We found that the Spotify audio quality options are better. You have an easy to locate EQ and you also have premade EQ options for a variety of situations too. That’s definitely a great experience to be had. And the platform even lets you choose what type of quality you want to have while downloading or streaming music. Although for the best quality you need a premium account. Apple Music only gives you the higher quality, which means that it can be a bit problematic if you’re on your data plan. The Apple Music radio is a lot easier to access and manage. Accessing a US Spotify account has so many features and a cluttered interface that many times you just end up ignoring the radio. The quality is great for both platforms, so in the end, it’s up to you to make the right pick based on what you like and need. Apple Music doesn’t have podcasts, it has a separate app for that. But Spotify has built-in podcast support, so you should totally try and check it out at the very least. Both of them have video sections, but in the end, you will notice that it’s just a lot easier to stream and listen to music and not watch videos. Both of them have growing video sections though in case you need it. Thanks to Spotify you can see what every person in your social list is playing. You can easily find some new bands this way and the recommendation system they offer is more efficient in that regard. Of course, you can also turn it off or not connect to social media at all, they don’t make you do so! Spotify clearly has all of this, even if Apple Music may implement it later. These are not exactly very impressive, but it’s still something that exists and offers a nice allure and approach for the customer. Spotify also shows upcoming concerts based on where you live. If you like a band and you want to see when they have new concerts, this may work very well for you! Apple Music does have exclusives from time to time. Spotify doesn’t really focus on that, but in the end, you still get plenty of quality and value from stuff like this, so try to keep that in mind. 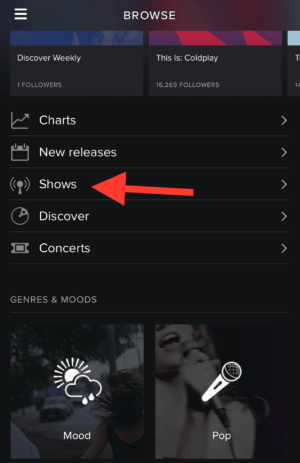 This is an exclusive Spotify feature that works really well. The idea behind it is that it allows you to create new playlists with other people. You get to create an amazing playlist based on a genre and stuff like that. Some of these have hundreds of players. Every platform has its ups and downs. But Spotify shines here. The lower quality interface and the lackluster radio may not be the best. But the audio quality is very good, you have lots of options, the recommendations are better and you can easily get some minor benefits like moving album arts, multiple quality options, etc. And depending on the country the overall price may be even smaller than expected too! But we do always recommend to use both services having a United States account, is the better way to have access to all the content available and even cheaper. Don’t forget you can also get an automatic delivery subscription on our site, so you will receive your gift card and pay for the service automatically without even care about purchasing them multiples times. This entry was posted in Apple Music, Gift Ideas, iTune Apps, iTunes, iTunes Gift Cards, Spotify and tagged Apple Music, iTunes, music online, Spotify, Spotify vs Apple Music.